and illuminates the parallels between then and now. The story of Daniel Berrigan, William Stringfellow, and Block Island begins during the turbulent 1960s and 70s. Today, an exhibition and film telling that story is traveling as a witness to its relevance and emotional power. 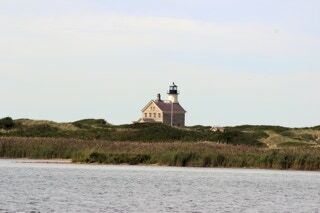 A small group of Block Island-connected individuals created the experience to engage and inform audiences of any age, background, or faith. Its evocation of the healing power of community allows Seeking Shelter to speak to our own time of turmoil. We are privately-funded, and appreciate donations! Please contact us to arrange an exhibition rental, a screening of the film, or both.